Flowers all around us are so beautiful that sometimes it is difficult to describe the beauty in words. And among these flowers, Roses are considered exceptionally gorgeous and ravishingly romantic by many. 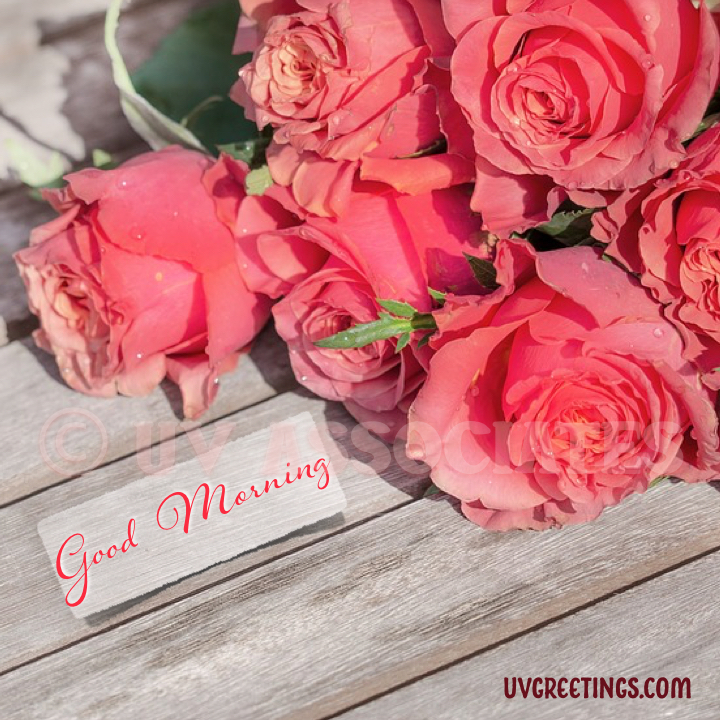 What would be a better way than including some beautiful roses for wishing someone special a beautiful morning? 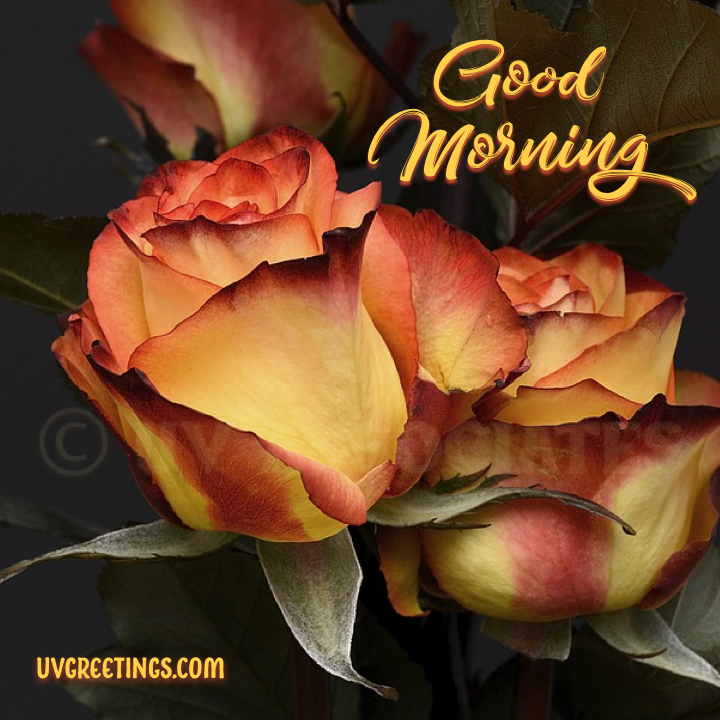 The first rose packed with the wishes is a peach flower and the Good Morning message in the picture is a beautiful script with shades from the peach rose. If a single peach rose is not enough, here is a whole bunch! 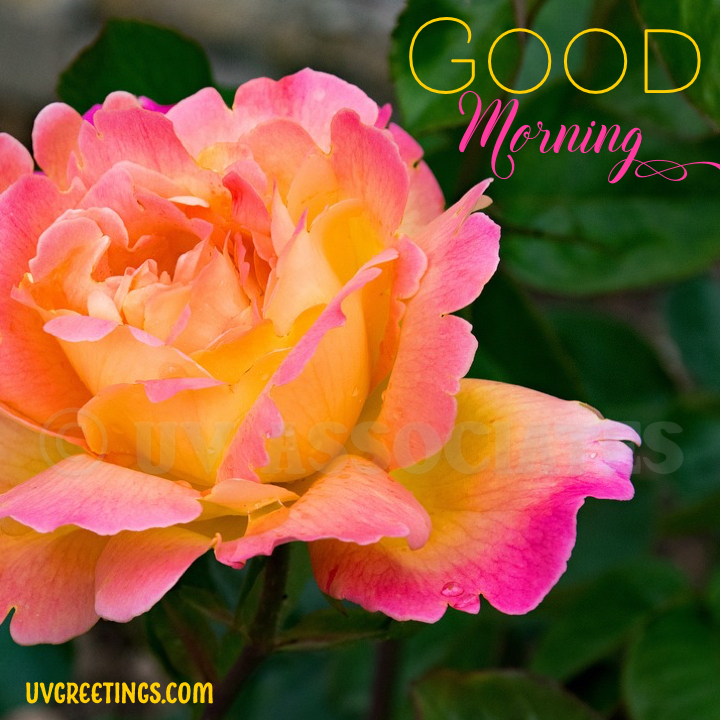 The Good Morning Script for this one is a strip which accompanies the roses. A close up of a Red Rose is rather exceptional. 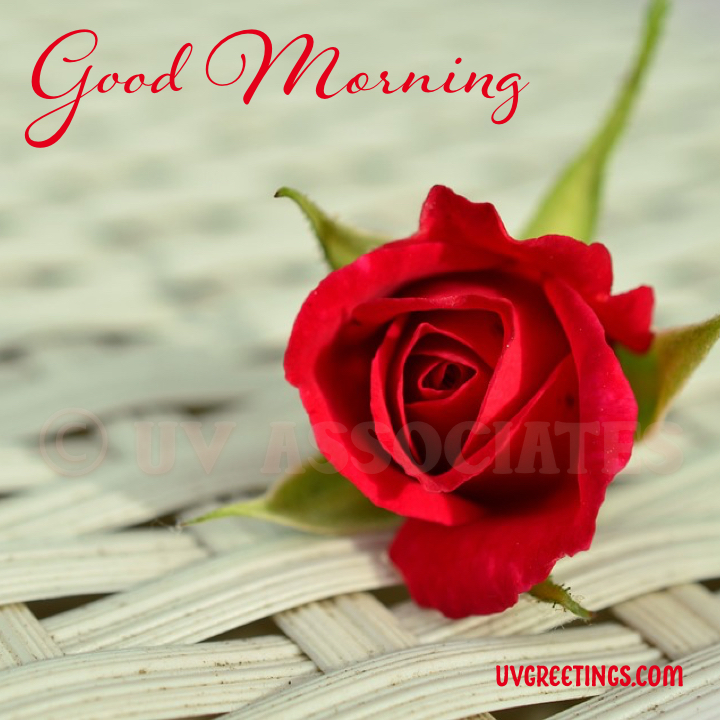 It signifies the sentiments of Romance and to emphasize that the "i" of the Good Morning is dotted with a little heart. 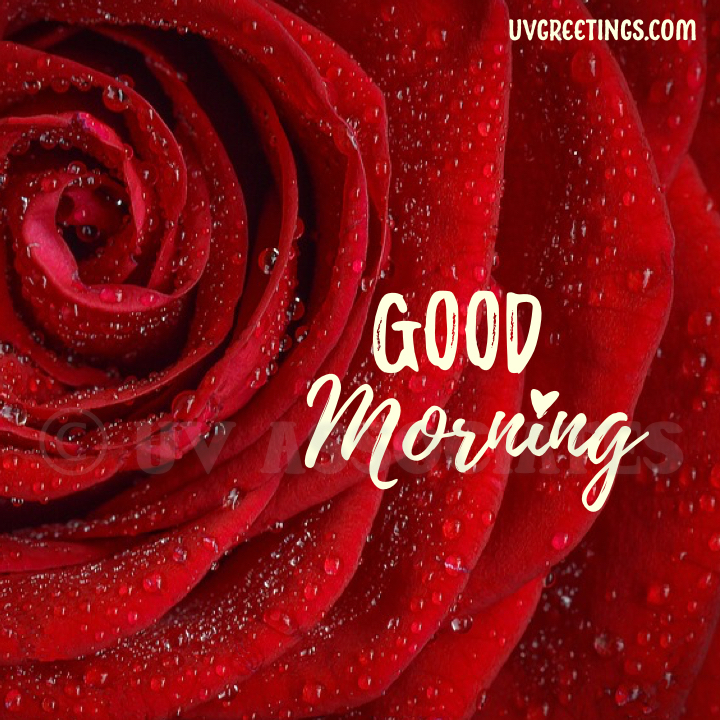 This picture features a solo rose, looking as forlorn as a lonely heart missing the presence of a beloved in the morning. 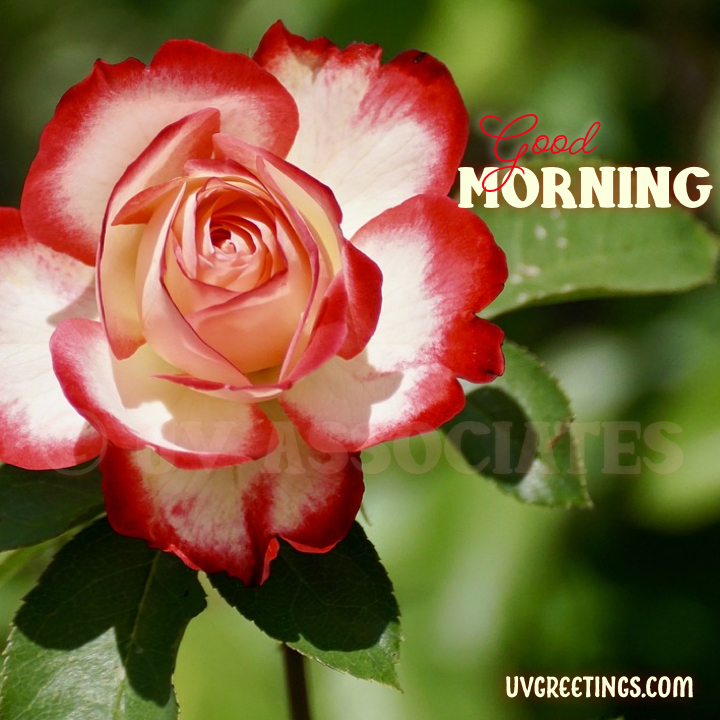 The flower in this Good Morning image is a rose that carries double delight with a gorgeous blend of red and white. And the two words in wishes follow the duo of beautiful rich shades. 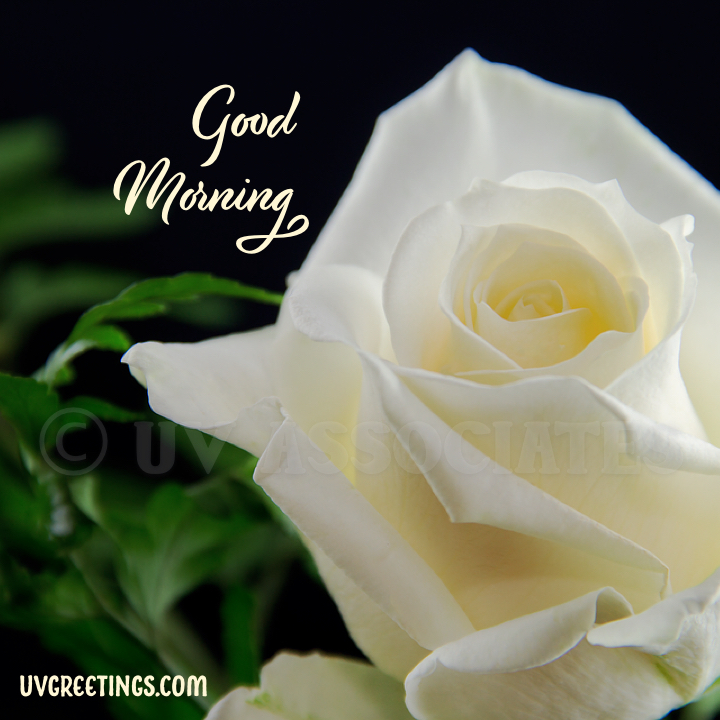 A pure white rose for peace and freshness to wish Good Morning would be perfect for all your friends & family. 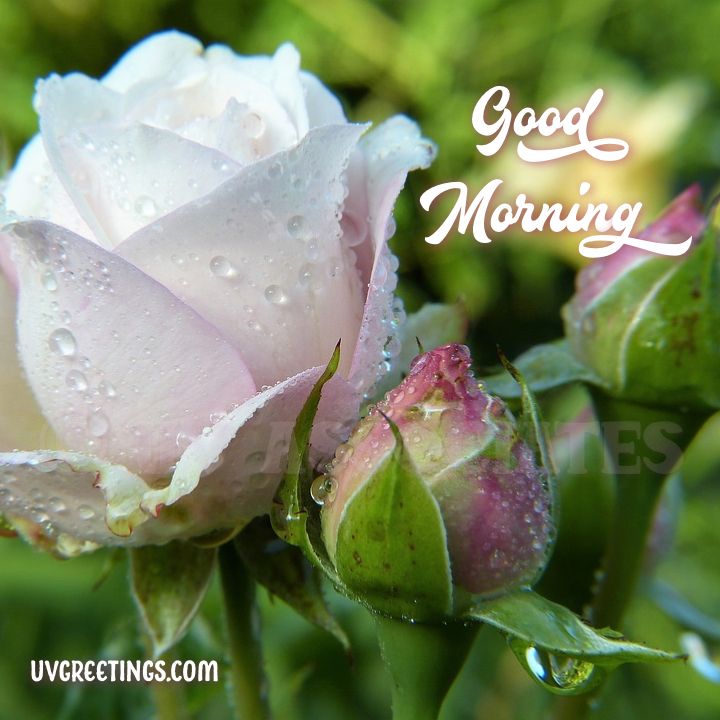 A White bud of with a touch of pink and Good Morning Text to complement its shades makes for fragrantly fabulous good morning wishes. 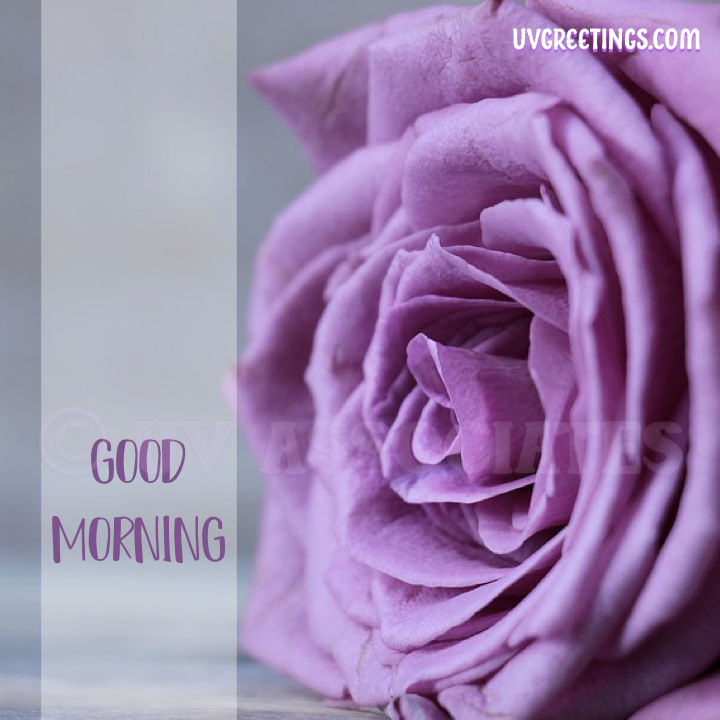 The slightly purple shade of this rose is enough to add a smile to someone's morning. 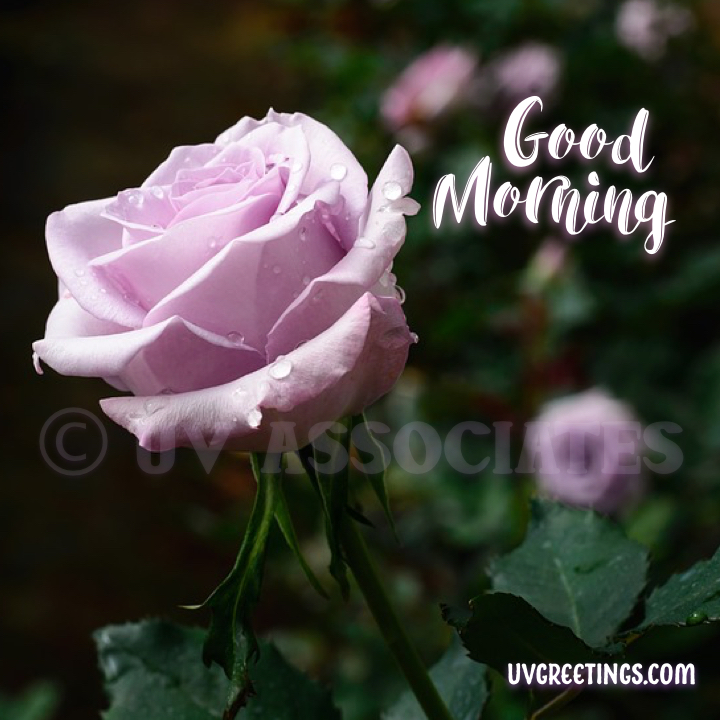 This purple rose has deeper shade then the previous for a little stronger and more lasting effect of your Good morning wish. 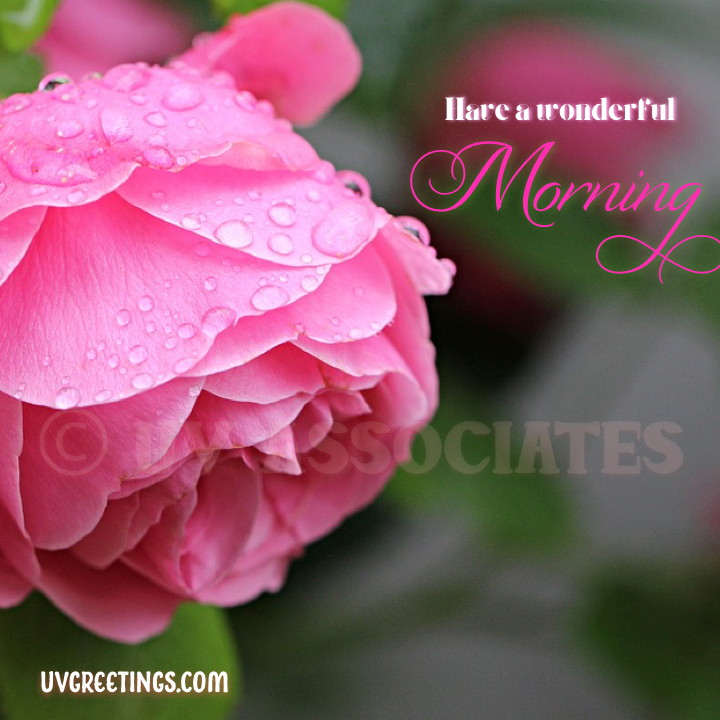 Looking freshly plucked from the Rose Garden, these beautiful blooms in a bunch, and a dreamy soft background is perfect for a soft, soothing wish for the morning and the whole day. 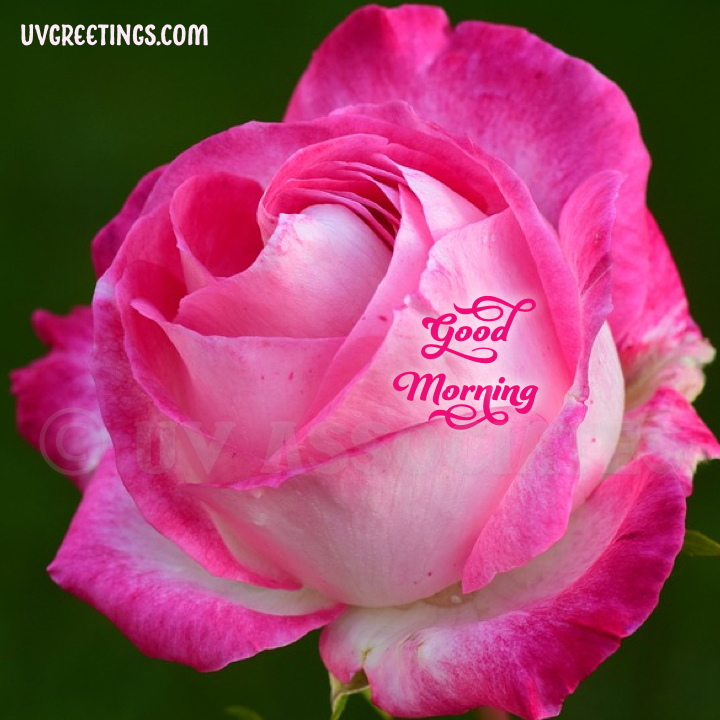 The strikingly beautiful pink edges of the petals this rose are quite capable of conveying more than simple Good Morning Wishes if you want them to. 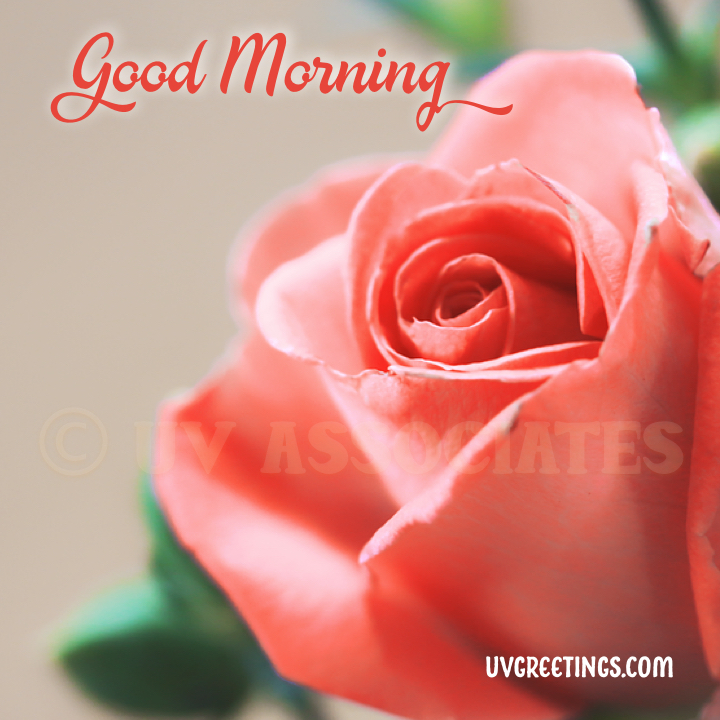 A delicate script conveys Good Morning with a few roses on the bench and soft lights in the background. A slight downward tilt of the rose loaded with the freshness of dew drops is more than capable of making the receiver's day wonderful. 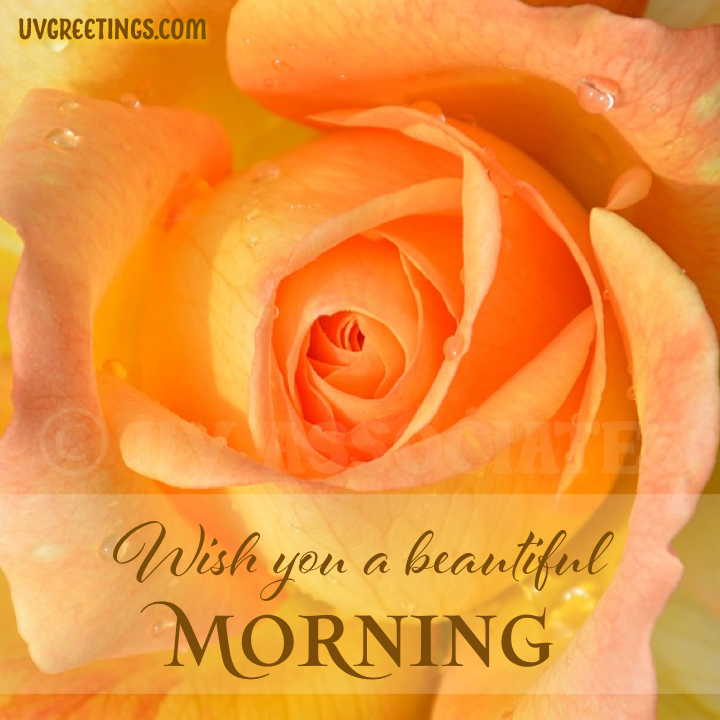 This one is a breathtakingly stunning Rose in vibrant shades of Pink and Orange and contrasting fonts to add brightness to your Good Morning Wish. 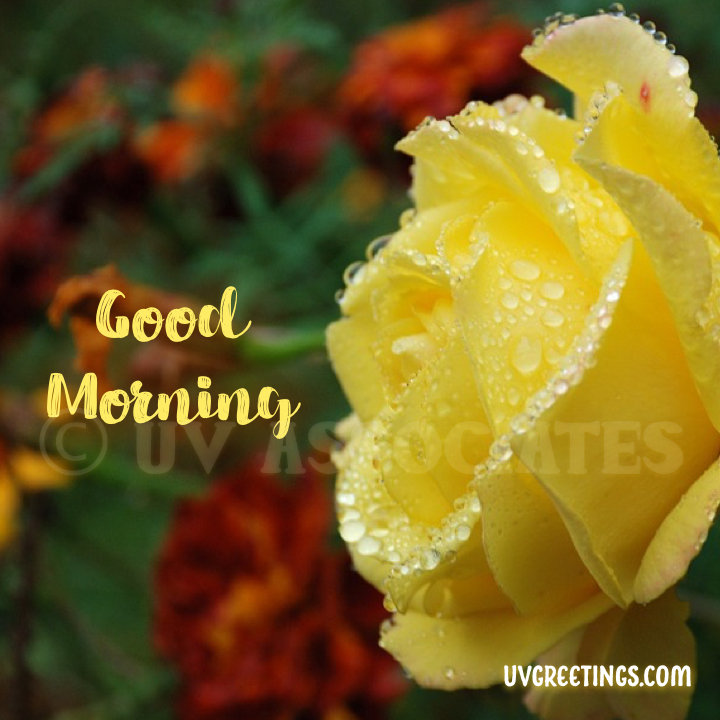 The next rosy image is the perfect side profile of a lovely yellow bloom covered with softly glowing drops. The background is a blur of dark red shades of even more flowers, providing a beautiful contrast to the yellow rose in the foreground, making it pop. 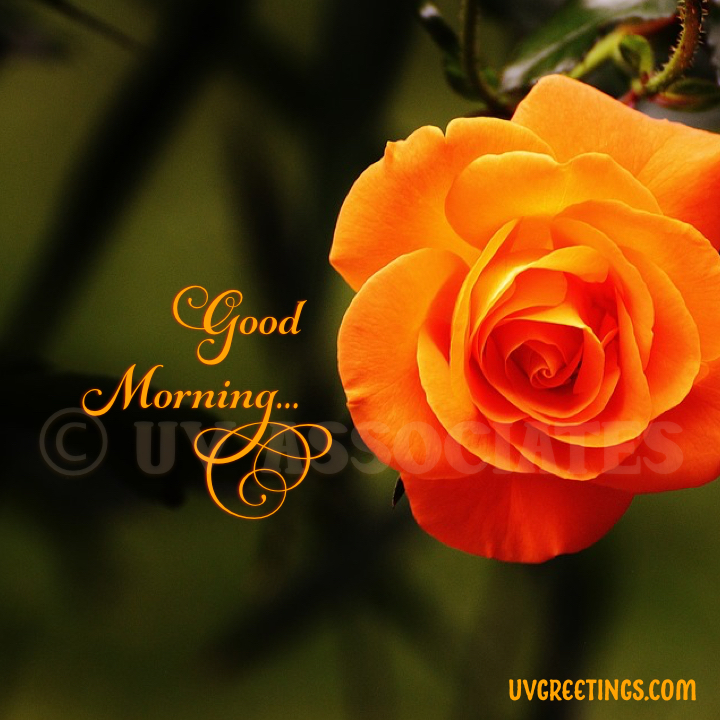 The Good Morning message is as if written with a brush to complete this bright "painting" of an image. What better way to add sparkle to your loved one's Morning? 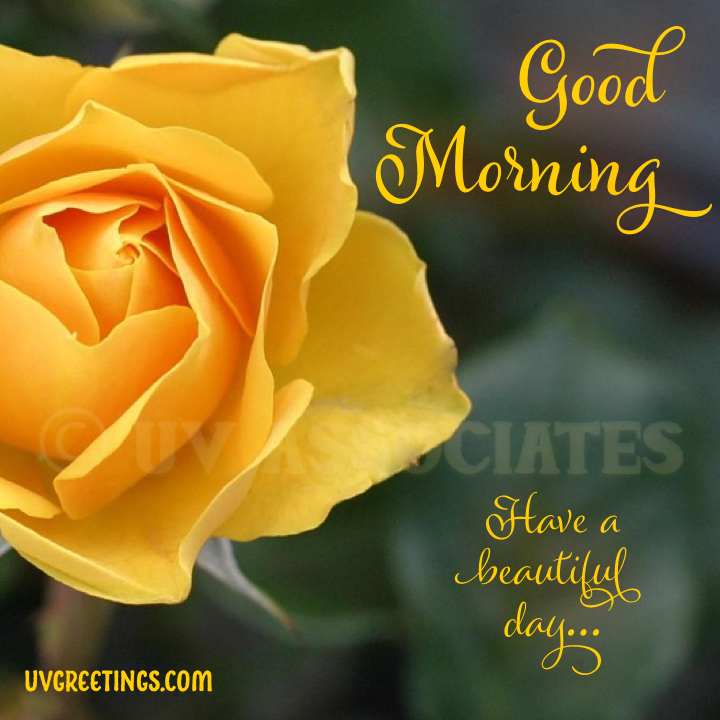 This deep yellow Rose has such a coveted knot at its center, that it seems to be full of a promise of deep desire. Is there someone who would like to receive this promise from you? 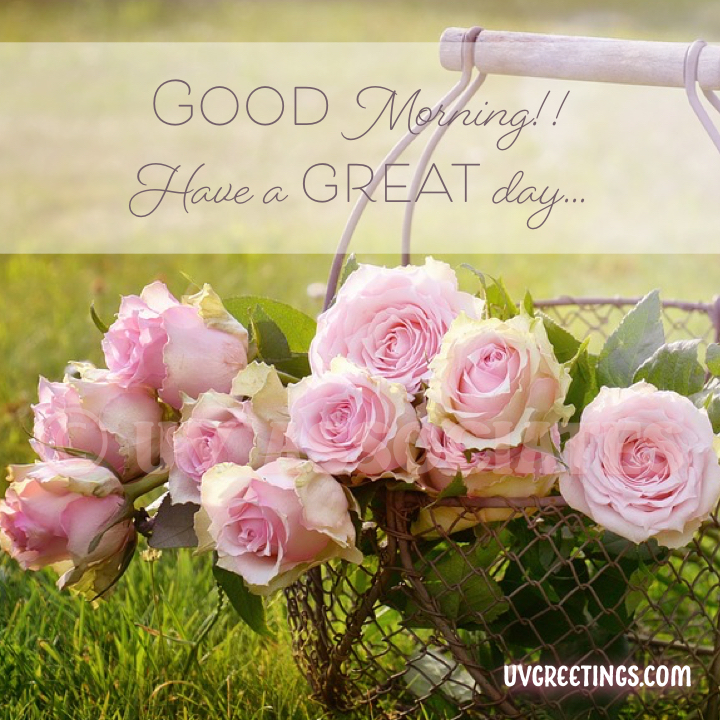 A perfect way for sending wishes for a beautiful day. Three Roses, a full bloom, a half, and a delicate bud, all together in one picture as a symbol of a blend of various stages of a well-nurtured relationship. 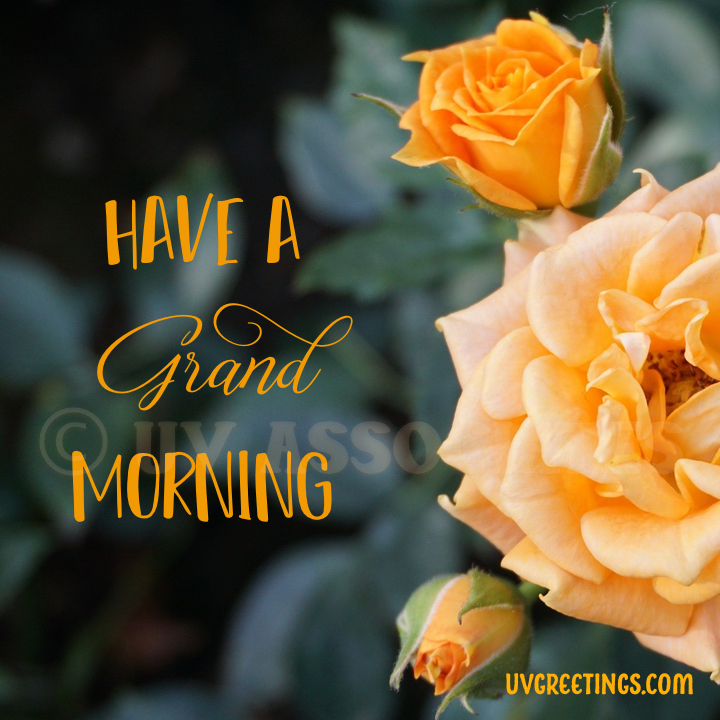 Make a morning bright, by wishing, "Have a Grand Morning"
Macro lenses can create magic, and this image indeed looks magical with little glowing droplets here and there to enhance the enchantment. So who do you want to cast a spell over? This image again looks like a painting of a rose with its beautiful blend of warm shades that look like layers over layers of nature's watercolor art. 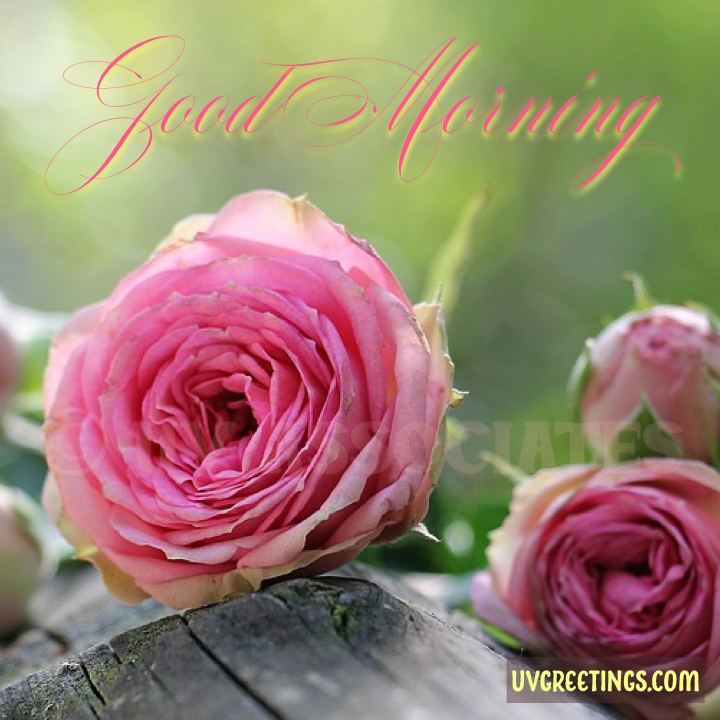 The swirls in the script of the Good Morning Message add so much warmth, that a responsive heart would melt for sure. Even the slightly withered, darkened edges do not decimate the beauty of these Yellow Red Roses. Instead, they get an awe-inspiring vintage character. Clubbed with brushed letters spelling the Good Morning Wish, this image is capable of emanating a powerful yearning. Hopefully, one of these roses will be able to perfectly convey your feelings to your loved ones. If you would like to see more of these or something different in Good Morning images, let us know in the comments.